Dr. Vaidyanathan is a medical entomologist who has worked on ticks, mosquitoes, sand flies, and bed bugs. He is part of the team from SRI that partnered with a Shenandoah Valley business to develop a rapid & specific bed bug detection kit. He organized the first bed bug symposium at the American Society of Tropical Medicine and Hygiene and is coauthor of a review article on bed bug detection (Vaidyanathan R, Feldlaufer MF. 2013. Bed bug detection: current technologies and future directions. American Journal of Tropical Medicine and Hygiene. 88: 619-625). 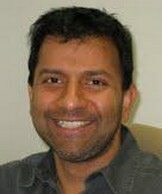 Dr. Vaidyanathan and his brother worked with the Harrisonburg Redevelopment and Housing Authority to publish the first analysis of the financial impact of bed bugs on lower-income housing (Wong M, Vaidyanathan N, and Vaidyanathan R. May/June 2013. Strategies for housing authorities and other lower-income housing providers to control bed bugs – Journal of Housing and Community Development 20-28). He has worked closely with students, staff, and faculty at James Madison University (JMU) to identify the bacterial microflora isolated from bed bugs and characterize the genetic basis for pesticide resistance in this resurgent pest. Dr. Vaidyanathan is pursuing projects to evaluate the efficacy of heat treatment and neonicotonoid insecticides as control strategies for bed bugs. Chief Entomologist, Louis N. Sorkin, BCE, shown with one of his jars of bed bugs, is greatly respected in the bed bug industry and is often contacted by printed and digital media, newspapers, magazines, publishers plus radio, television, and online digital content when news items involve insects. We are privileged to have Louis on our IBBRA advisory board. Online interviews can be found by general internet searching. He is an advisor to some of the specialized online entomology blogs. Lou is a Consulting Entomologist whose expertise provides you with a wide range of entomology and pest control consulting services. His clients include federal and state agencies, pest management companies, import/export surveyors, attorneys, and health care facilities. Licensed in New York State in Structural, Food Processing, Termite, Fumigation, and Public Health Pest Management and is a consultant in Forensic Entomology and Pest Management to the global community. Lou undertakes forensic cases for import/export companies, manufacturers, buildings management, metropolitan police departments, healthcare facilities, attorneys, homeowners and the like in all aspects of the investigation and finally as an expert witness in entomology. Litigation consulting is provided as required. It’s extremely important to have a correct determination of the pest species. Incorrect identification leads you to make incorrect recommendations. Lou has 30 years’ experience in insect and arachnid taxonomy plus natural history knowledge of many pest arthropod species. Forrest St. Aubin, a Board Certified Entomologist and nationally recognized pest management consultant, received his undergraduate and graduate degrees from the University of Missouri and Webster University. He currently serves as an advisory board member of the IBBRA, a consultant to the urban pest management industry and legal profession, as well as Chair of the Associate Certified Entomologist program of the Entomological Society of America. Prior to engaging in pest management consulting, St. Aubin was employed for 26 years in various research and marketing positions in the pesticide chemical industry. He was the first Technical Editor of “Chemical Times and Trends”, a journal devoted to the chemical specialty industry. He is an author of many articles concerning food plant and health care pest management, structural pest control and medical entomology. In those regards he has appeared on the programs of many state and national organizations. He is retired from the United States Army Reserve, Medical Service Corps, wherein he served as a medical entomologist, achieving the rank of Colonel. Prior to retirement, he commanded a disease vector management unit stationed in Chicago, Illinois. Mr. St. Aubin’s industry affiliations, over more than 45 years, have been many and varied. He is a past member of the Board of Directors of the Chemical Specialties Manufacturers Association. He is a past member of the Board of Directors of the National Pest Control Association, as well as Chairman of the Food Protection and Sanitation Committee and member of the Project Development Council of that Association. He was a President of the Kansas Pest Control Association and was a Vice President of the Missouri Pest Management Association. In those positions, he was active in promoting the revision and strengthening of the pesticide laws of the two states. St. Aubin established and operated Summa Pest Management Services, Inc., of Overland Park, Kansas for many years, selling the company in 1993. From early 1993 until late 1997, he was Director of the Division of Plant Health of the Kansas Department of Agriculture, serving two Governors and three Secretaries of Agriculture. Among other regulatory issues, the Plant Health Division managed the licensing and certification of all pesticide applicators, urban and agricultural. Denise Donovan is the Founder and Director of The Southern California Bed Bug Task Force, Co-Founder and Director of The National Bed Bug Resource Authority (NBBRA) and Founder of the International Bed Bug Resource Authority. She teaches people about bed bugs globally. Several years back, Denise was bitten by bed bugs at a Hotel in Phoenix, Arizona, and shared her story about how she became an expert with bed bugs. The hotel manager denied having any yet she took pictures of the “bug” and had bites head to toe. This sent her on the quest to find out everything there was to know about bed bugs. Since bed bugs were a pest that many pest control companies were just finding out about, the amount of solid information about them was hard to find. As years went by she continued her quest to learn all about bed bugs through Universities, Entomologists and Pest Industry Professionals worldwide. After taking pest control classes, asking a million and one questions, documenting information, verifying information, she compiled and wrote a bed bug training manual to teach the industry about bed bugs. She quickly learned that not only the pest industry needed help, but the average person had no clue what they were except from nursery rhymes of years ago. As a consultant, and researcher in the bedbug industry, Denise teaches a three step process of Educate, Evaluate and Initiate techniques while balancing the risks of pesticides and safety for all. Denise sees home life styles changing due to bedbugs’ hitch-hiking and hiding abilities. She has gone on public television KCAL-LA with her “be aware—not scare” program. This past year Denise gathered all the research and information she compiled and wrote a book about bed bugs awareness for the general public called Bed Bugs Gone Completely Wild. Denise showed the world how to outsmart the bed bug by exposing all their dirty secrets. She exposes their physical characteristics, hiding places, their feeding patterns, how they grab a ride home with you, who’s at risk, what they like and dislike and how to render them helpless. She has helped thousands of bed bug victims through a Bed Bug Crisis Hotline to establish common sense solutions using compassion and innovation in sensitive habitats. The Hotline acts as a liaison between landlords and tenants, hotel keepers and guests, companies and employees, to make “no-blame” solutions for bedbugs. Her guidance is inspiring in its highly informative in what it reveals about bed bugs that helps you understand why bed bugs will become a way of life.